Look no further you have found peace and serenity in the gated community of Riverwood! This MAINTENANCE FREE unit includes lawn care, exterior painting of the property, and roof maintenance to give you time to relax by the recently upgraded salt-water private pool! Enjoy the view of the preserve that this home back up to. This impressive floor plan encompasses 3 spacious bedrooms with additional space in the den! This luxurious getaway offers 2 bathrooms and a kitchen that overlooks both dining and living areas. You will love the great features this home provides including the indoor laundry room, granite countertops, ceramic tile in all wet areas as well as living room and dining spaces, and custom made shutters that decorate the many windows throughout this home. 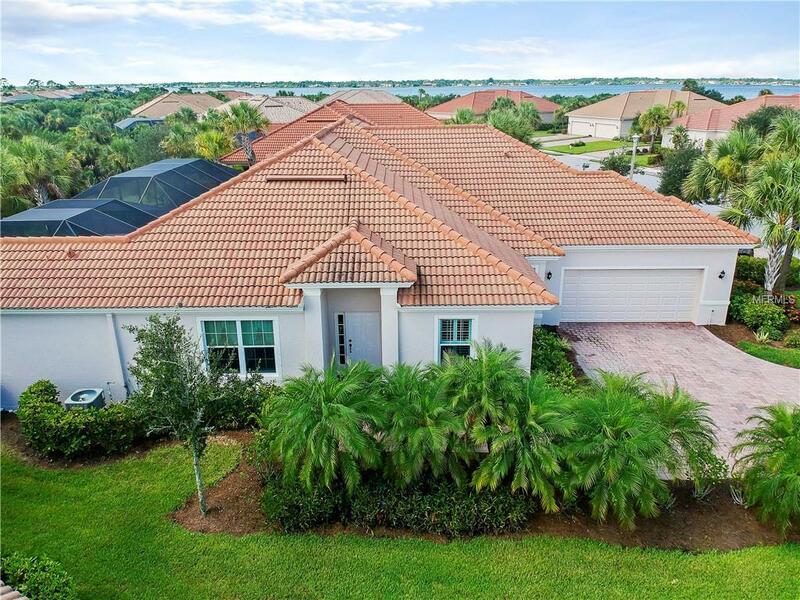 The brick paver driveway will lead you to the 2 car garage that is large enough for the family vehicles or a couple of golf carts and equipment that can be used on the #15 ranked golf course in Florida! Brand New water heater installed September of this year! Call today to come take a look, plan to call this place home and take advantage of the very active community that Riverwood has to offer! Amenities Additional Fees This Home is Within A Golfing Community With Available Membership For Additional Fee.